What is the knee support AM-OSK-Z/S-P? Closed knee brace AM-OSK-Z/S-P is made of innovative ACTIV PREN fabric, characterized by softness and elasticity which guarantees very good fitting to the limb and guarantees proper compression of the knee. ACTIVE PREN is the structure material, which contains perforated neoprene foam covered by polyamide fabrics. Thanks to the perforation the protected joint is well aired and warm. Thanks to the use of the ACTIV SUPPLY SYSTEM (internal perforation of soft part of the brace) the protected joint is well aired and excessive humidity is removed from the skin. The advantage of this material is that it is not knitted and contains no thick fibres which can cause abrasions if pressed firmly on patient’s skin. The brace is equipped with independent sets of reinforcement straps made of VELCRO tape, elastic orthopaedic stays and anatomically kneecap support with antimycotic properties which stabilizes patella precisely. 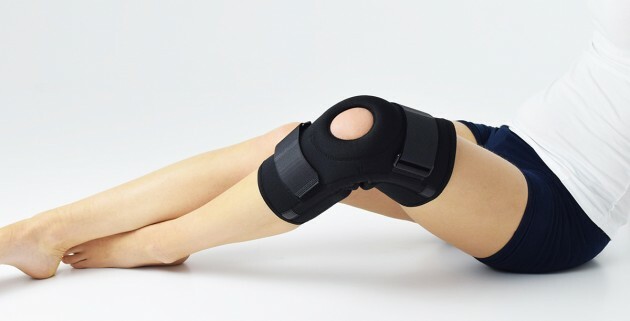 AM-KDX-03 knee brace is closed and provides excellent stabilization of frontal and sagittal plane and joint rotation. High quality of support allows to train of professional and amateur athletes with knee degeneration and other dysfunctions. Open knee brace AM-OSK-O/1 is the professional medical device 1st class, which improves the gait and the rehabilitation process. It is made of innovative ACTIVE PREN. Open knee brace AM-OSK-O/2 is the professional medical device 1st class, which improves the gait and the rehabilitation process. It is made of innovative ACTIVE PREN. 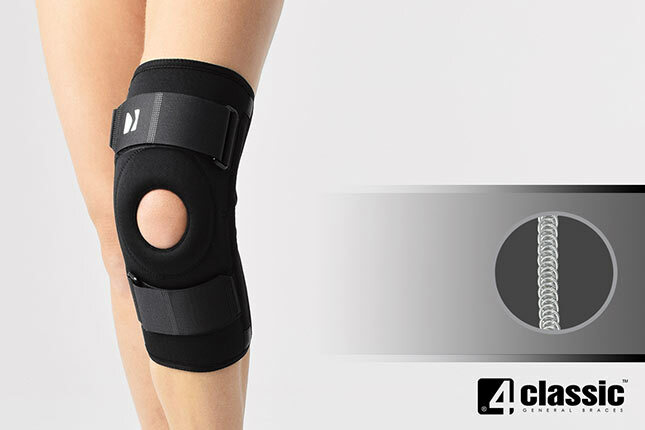 Closed knee brace is made of perforated neoprene foam, which is coated with lining fabric. It holds two independent supported sets of the Velcro tapes.